"WE DESIRE TO GIVE YOU ONE LESS THING TO WORRY ABOUT." From the moment we receive your inquiry we aspire to make your vision come to light. It is of the utmost importance to both of us to get to know you and your fiancé on a personal as well as professional level. We do this through questionnaires to be filled out at your convenience, Skype or FaceTime consultations, and also by spending time together during your Couplescape session. We also strive to provide you with the most beautiful images, delivered to you in a timely manner, without sacrificing quality. Taking in to consideration that you are very busy people who have just added to your plate event planning on the grandest scale, is one of the main reasons we do our consultations by Skype. You can meet us face to face at your convenience, at home or abroad, even in your comfies if you so desire. Meeting our clients by video chat means that we can be available to you wherever we are in the world, whichever time zone we may happen to be in; we can sit down in our living room and you in the comfort of your own home, and get to know you as a couple, hear about your wedding plans, and what you dream for your Couplescape. "WE ARE THE ONLY STUDIO IN THE WORLD TO OFFER COUPLESCAPES." This is what makes David and Sherry Photography a unique experience as we specialize in images with a presence through our concept of the Couplescape. We are passionate about traveling around the world with couples who are on their own adventure and want us to join them for a short time. Creating for you lasting memories of your wedding and engagement is what inspires us and motivates us to push the boundaries of the impossible. "LET US BE YOUR COUPLESCAPE CONCIERGE!" Too often we take photographs on our phones and don’t print them, we capture so much of our lives but leave it up in a cloud, or on our devices. As technology progresses and we aren’t able to look at the photos we saved on floppy disk, we are encouraged once again to print our memories for our future generations to enjoy. Showcasing your passion for landscapes, adventure, and your passion for one another with a large canvas that is a stand out piece of art, a conversation starter that will allow you to relive your adventures everyday as you gaze at your canvas. We allow wedding guests to see your exquisite Couplescape Session that will inspire feelings of jealousy from your friends and family in a guest signing book. 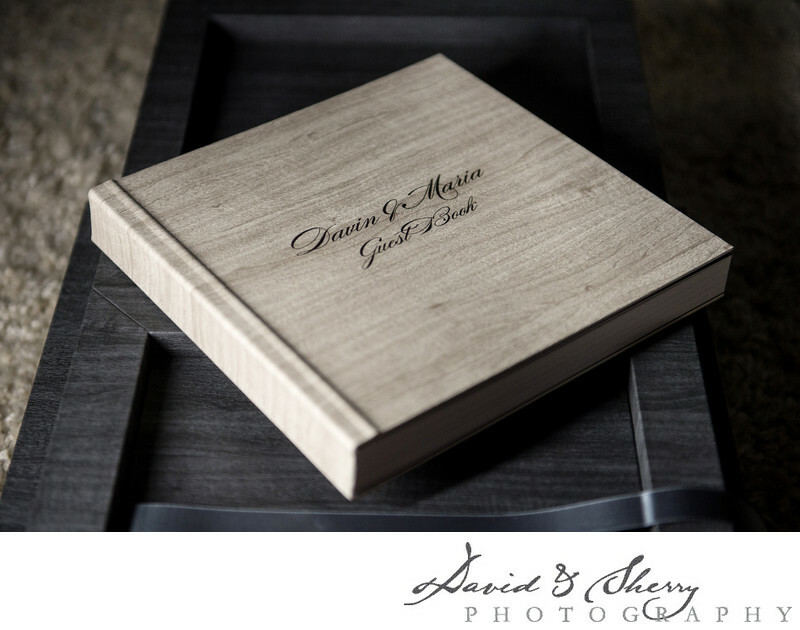 We design guest signing albums differently than our designer albums that we recommend for Couplescape Sessions. We design them so that there is more space per page for your guests to leave their congratulations. Conferring with all your different vendors when planning your wedding day schedule is an excellent idea. Each vendor will have a specific method to acquire what you loved in their portfolio, and so to get the most out of their professional expertise you should inquire as to what they need for time from your wedding day. For David and Sherry Photography that looks like this, first consider travel times to and from different places, consider also that you will be in beautiful gown, surrounded by friends also looking dapper and it may take you a bit longer to get everyone and everything you need with you into a vehicle. Also when planning your day keep in mind that you will want time for your bridal portraits after hair, makeup are done for everyone, and whomever is helping you into your dress is also in their gown so that they can assist you into your dress. Furthermore, there is the importance of lighting to consider. Although we can work in any lighting there are definitely times of the day that are best for photographing especially if you want night formals. Knowing when the sunsets is crucial. Have a look at our wedding schedule tips here. We bring you the best in the world. Hand crafted in Italy, printed on the highest quality of fine art paper, designed especially for you, it’s the story book of the day you and your best friend became a family and the first photo album in a lifetime of memories yet to come. We have a write-up featuring our different wedding albums, our designer album and our heirloom storybook, as well as all the cover selections. Wedding Albums. Navigating through the various types of rich and sophisticated covers that will cherish your wedding day memories forever can be a bit perplexing. 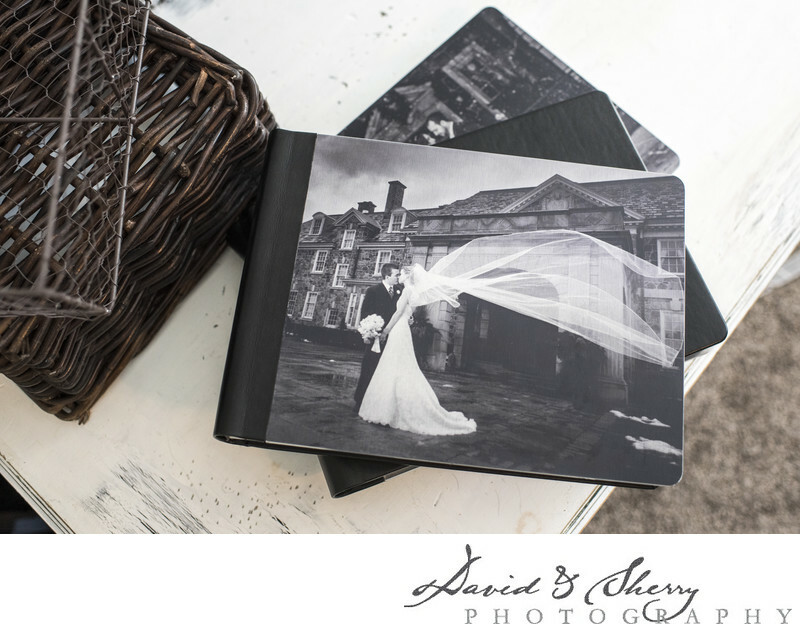 David and Sherry Photography are more than happy to take the task underhand to make it less daunting. Building a relationship with you, our bride and groom, seeing your style in action through your wedding makes us able to design for you a wedding album that is tailored to suit the two of you and will be the culmination of your wedding, the shining glory of anniversaries to come, and the realization that your dreams really do come true. "WE CAN'T WAIT TO PROVIDE YOU WITH AN AMAZING EXPERIENCE,"
Get started by sending us a note through our contact page.